Mexico City is aiming to reduce greenhouse gas emissions through the efficient use of resources such as energy and water. 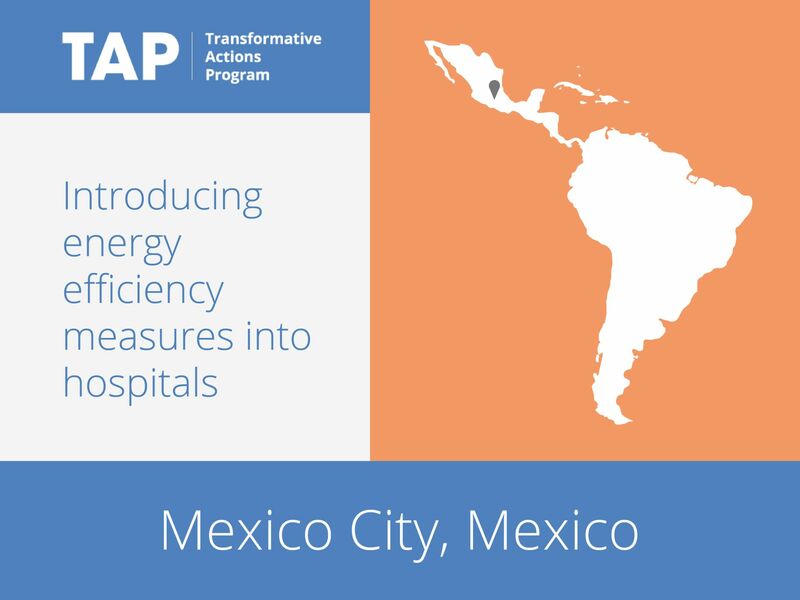 Within the Climate Action Plan, which includes a program on energy efficiency in public buildings, Mexico City has developed the Integral Program for Energy Efficiency and Solar Water Heating in 19 hospitals of the Federal District. The planned energy efficiency measures include replacing fuel boilers, improving insulation, training personnel and installing photothermal systems for the heating of water. Over 15,000 tons of CO2 emissions will be cut over the course of the project.